Local Staten Island CYO rules take precedence over all rules for all CYO Staten Island County league play. Staten Island CYO then follows CYO Archdiocesan rules and the Official High School Basketball Rules of the National Federation of State High Schools’ Athletic Association for 2018-9. Rosters are the responsibility of the basketball coordinators. All rosters must be submitted by the first game. Coordinators MUST HAVE a copy of the birth certificates in the event a player’s age. Parishes/schools have until Wednesday, November 1, 2018 to organize and submit COACH’S CONTRACTS and TEAM ROSTERS (exception noted in Rule #5). ALL ROSTERS MUST BE SIGNED BY MODERATOR OR PRINCIPAL THE. Rosters must be legible. PROOF OF ELIGIBILITY AND FEES ESTABLISHED BY THE COUNTY DIRECTOR MUST BE SUBMITTED WHEN THE ROSTER IS DUE, PRIOR TO THE FIRST SCHEDULED GAME. FAILURE TO COMPLY COULD RESULT IN A TEAM’S AUTOMATIC FORFEITURE OF ALL GAMES UNTIL SUCH TIME A ROSTER IS FILED. All rosters must be completed in full. **All coordinators will be emailed team roster form. Names of players, coaches, coordinators, and other information must be typed. If you don’t comply your teams will be ineligible for playoffs. Roster additions must be submitted before December 1, 2018 for a player moved to a higher or lower league or division within a parish or a player who physically moves to a new residence within a new parish. A player who physically moves after the season has started, but before December 1, 2017, has the option to play for the new home parish if accepted or remain with team he/she started for - this season . Follow roster addition rule. Participants must be resident members of the sponsoring parish and they must live within the geographic boundaries of the parish they represent. The CYO County Director has final say as to Parish Boundaries and what constitutes Adjoining Parishes well as decisions on all player eligibility. If no program exists in a Parish, or the Player cannot secure a position in the Resident Parish, player must contact County Director for instructions. (Simply put on Staten Island you can play CYO Basketball where you live or where you go to school (Catholic School) additionally, you cannot jump back and forth once you establish. NOTE: In addition, as started with the 2014-15 CYO season players, parents and guardians signed agreements with the CYO Athletic Committee regarding placement. Players found to be in violation of the agreement will be deemed illegal at their next parish upon review by the SICYO office. NOTE: The SICYO County office strongly emphasizes, where you played LAST ( last season or the last time you participated in CYO Basketball) is where you play this season. Any full time student of a Roman Catholic parish/Roman Catholic private school is eligible to represent that parish/school in a CYO activity. Every effort should be made to play on the resident parish team. However, a youngster who cannot secure a position on the roster of a resident parish team (or if the resident parish has no program at all) may participate on a team of an adjoining parish with the authorization of CYO County Director. An adjoining parish is one whose boundaries touch on the youngster’s resident parish. As long as the resident parish offers a spot on one of its teams, the player is bound to play with his resident parish. A Parish Roster is limited to 3 Player Exceptions in any combination of A and B. **In cases where a school is closed, athletes are grand fathered . Players are eligible to play in the CYO Elementary division until they graduate 8th grade. Participants must meet the age and grade requirements of the particular program. A player who has been skipped one grade may be eligible to play with his/her age group. Proper documentation and approval of County Director are required. A letter from Pastor of non-resident parish stating that they have been active members of such parish for at least one year prior to September 1, 2018. The date of registration with parish must be included in the letter. Furthermore it is expected that the child will remain active in the parish this year. Players may use only the legal address at which he/she resides and which is on file at the school the child attends. Under NO circumstances will an individual be allowed two separate addresses for the purpose of establishing eligibility to participate in a specific program. The only exception to this rule will be the existence of a court-ordered Decree of Divorce that of which stipulates a joint custody arrangement between parents with specific terms of custody. It is the responsibility of the parish to provide a copy of the Decree of Divorce to the CYO. Copy of canceled rent checks or, in the case of cash payment, a statement from the landlord indicating the monthly payment and the amount he has received. In all cases of a player’s parish eligibility & for the purpose of local county play (SICYO) rules and regulations take precedent over New York Archdioceses rules and regulations. If a child cannot secure a position on a team in their resident parish, then the County Director will make every effort to find a position for the child on an adjoining parish team. A child, who had been placed at a parish previously due to the above rule, will be placed at the same parish he/she played for last year. In any situations where the participation of a team or parish brings in to question the credibility of those individuals responsible for that team or program, and the actions of that team or program are detrimental to the integrity and credibility of the CYO, then the CYO Central Administration has the right to impose sanctions including removal, reassignment to a different division, or the designation as a non-playoff eligible team. These actions will be taken after consultation with the pastor or principal of the offending party and the decision of the CYO is final. In the situation of a forfeit, the forfeiting parish will be responsible to compensate both officials. The team that won the forfeit will receive a refund that will be reflected in the final payment statement. Teams that forfeit on multiple occasions, as well as teams that were ruled to use illegal players may be eliminated from the SICYO county playoffs after review by SICYO office. A player who is cut from an “A” Division team or has not tried out for his/her parish team is not eligible to play for an “A” Division team of another parish unless authorized by the CYO County Director. Any player, who is unable to secure a position on his /her parish team, will be placed by the CYO County Director. Every effort is made to find roster placement for children in these situations. Any player that DOES NOT regestier /tryout for team he played on last season/lives/school CAN NOT be placed on a "A" Division Team. He /She can only be placed on a B or C team. If in the future you would like to compete for a spot on an "A" Division team you must return to the parish you did not regestier / tryout the year before . In any cases of player placement , the CYO County Director has final say in placing players ( Parish & Level ) . a) If parent/parents are found trying to usurp any parishes or CYO rules for benifit of player / players placement , they will be subject to placement ( Parish/Level) by the CYO County Director . A player may compete and tryout for one and only one CYO team and in only one division. In Elementary divisions, players may move up to a higher-grade level. A nationally established youth organization may participate in the CYO league with the understanding that their teams are ineligible for playoffs and championship games. Every effort should be made by coaches to play all team members in each game. A parish/school head coach will be limited to serving as head coach to two CYO teams. At no time can the SICYO guarentee that they will not have scheduling conflicting games . Any coach that is serving as Head Coach of two teams should have reliable assistant coaches . The coordinator is responsible to give an original schedule to each coach. A loss will be incurred by a team who does not show because they were not notified of a game or because of a error on a re-written schedule. The team is responsible to pay double official’s fee. (This rule does not apply if no show occurs due to CYO error.) The schedule is also on the CYONY Website and should be check for changes . Any players, coaches or spectators who are not living up to the CYO Code of Ethics, will be subject to immediate suspension or expulsion from CYO competitions. The home team is responsible for the conduct of the game, which includes the spectators. Both teams should play the game respecting the rights of the opponent team. Spectators should likewise extend this respect to opponent’s spectators A) Negitive Social Media Policy -Any Negitive social media posts will be met with swift action . 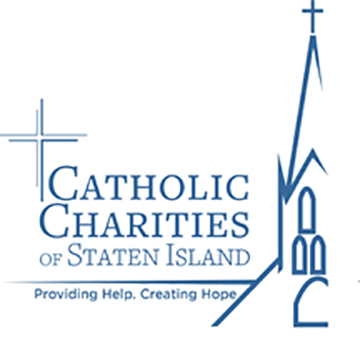 In conjuction with the Archdiocese ,Staten Island CYO and the offenders school/parish , they will determine the severity and length of the adult or childs suspention . It is the home team’s responsibility to keep the time clock, whether in their gym or at the CYO Center. Parishes/schools are responsible to train a responsible person to run the clock. IN ALL HIGH SCHOOL DIVISIONS PLAYERS MUST PARTICIPATE IN AT LEAST FIVE (5) REGULAR SEASON GAMES TO BE ELIGIBLE FOR PLAYOFFS. Exceptions will be made for players with doctor certified injuries. There will be no ARCHDIOCESAN Playoffs for the High School Boys Divisions. H.S. Boys Playoffs will end at the County level. It is the responsibility of the parish coordinator or person designated by the parish coordinator to update scores, at www.sicyo.net, for the purpose of league standings within 72 hours of completion of game. Failure to report scores within 72 hours will result in a loss for non-complying team. The home team in all playoff games will be the team with the highest divisional berth. In North/South Divisions, teams with tied berths will decide home team by a flip of the coin. The home team for championship games will be the team with highest divisional berth. Playoffs will be one - game elimination. Both playoff champs and runner-ups will receive a team and individual awards. A parent/guardian of each CYO player must sign and abide by the CYO Parent’s Contract WHICH WILL BE ON FILE AT THE CYO OFFICE. Failure to do so may result in the parent/guardian and/or the player being banned from further CYO league participation. No team will be allowed to move up or down in division for the entire season. According to the Archdiocese rules, team uniform shirts must have the parish/school name imprinted on the front of each shirt. All teams and players must meet the CYO eligibility and requirements to be in the play – offs. Games against non conforming teams will not affect your standings (Your wins and losses against non conforming teams will not be counted in the standings. Any Team forfeiting two or more games may not be eligable for the play-offs . The CYO County Director has final say on all the above . CYO roster must be attached to your scorebook. Above rules are subject to change and modifications. Additional rules may be added in an addendum.